It’s hard to stay calm with these savings from Sport Chek Canada. 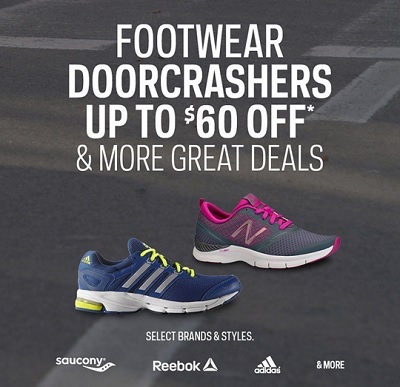 Take an advantage of huge savings and let's celebrate spring at Sport Chek Canada store locations. Take 40% off Spy brand sunglasses and up to $60 off footwear for men, women, and children. You can save money on brands like Reebok, Under Armour, adidas and more ... This great offer ends 04/11/2016. Official source of the information is Sport Chek Canada. For more information about the promotion visit your nearest Sport Chek Canada store.